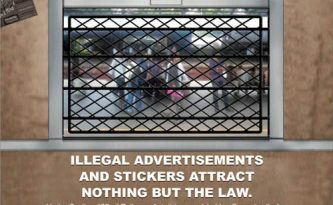 Illegal Advertisements and Stickers attract nothing but the Law. 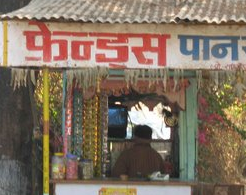 Under Section 166 of Railways Act, it is punishable offence to display illegal advertisements and stickers in train. 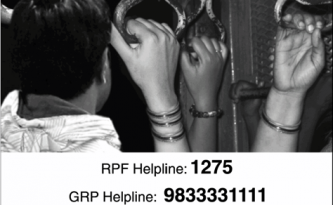 It not only makes railway coaches look unclean but also defiles your image in the minds of the public. 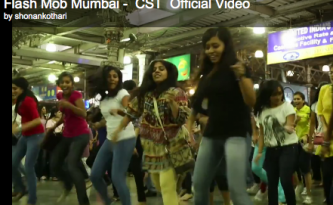 Western Railway. 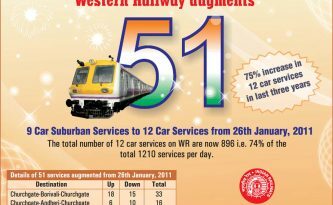 For comfort and convenience of commuters Western Railway augments 51 9 car suburban service to 12 car service from 26-Jan-2011. 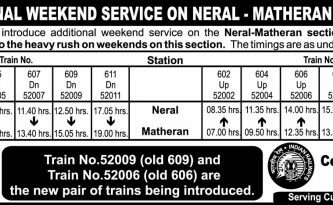 Central Railway will introduce additional weekend service on the Neral Matheran Section with effect from 19-Dec-2010 to cater to the heavy rush on weekends on this section. Train No. 52009 (old 609) and Train No. 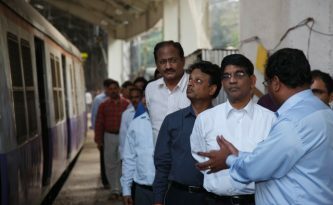 52006 (old 606) are the new pair of trains being introduced.